…I can now call eprintf("hello, world"); without a complaint from the compiler. That doesn’t let me do a “for each” loop, though. All the args that I pass are expanded, but I can’t do anything with them, individually. I have no names for my macro’s parameters–just the anonymous …. I went poking around, not expecting to find a solution, but I was pleasantly surprised. One of the codebases that I work on is theoretically C++, but if you peer under the hood, it looks more like 1990-vintage C. It’s 500 KLOC of almost purely procedural code, with lots of structs and few true objects. More dusty and brittle than I’d like. This means that I don’t consider the C-like style of this particular codebase a fatal flaw, in and of itself. However, since my early coding adventures I’ve been converted to the advantages of OOP for complex projects and large teams, and I’ve also accumulated a lot of battlescars around multithreading. Our codebase needs OOP to solve some encapsulation antipatterns, and it needs RAII and C++11-style mutexing in the worst way. 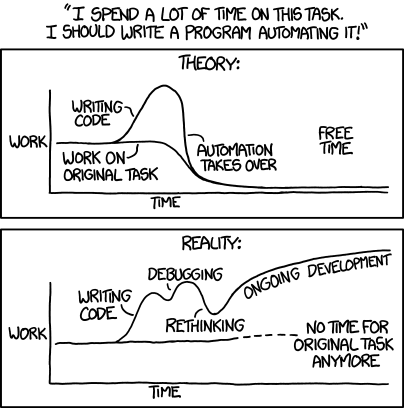 Its old, single-threaded mindset makes far too many things far too slow and error-prone. A few months ago, we decided to make an investment to solve these problems. Yesterday I was discussing refactoring priorities with a colleague who’s a brilliant engineer, and I happened to mention my strong desire for smaller files in our codebase. I told him that I thought .h and .cpp (or .py or .java or .whatever) files with thousands of lines were a problem. He told me that he wasn’t opposed to the idea, but he always felt like it was more of a stylistic choice than a true imperative for good code. And he was curious to see if I could convince him differently. After I pondered his question for a while, I realized that some of my opinion really is traceable to prejudice. I usually use IDEs instead of vim/emacs, and I think that promotes click-back-and-forth-and-hyperlink-in-many-little-files instead of open-a-big-file-and-scroll. My compatriots that are more console-centric are just as smart and effective–maybe more. So I’ll write that part off. However, I also found some arguments for the small-file principle that feel more substantive. Small files are your friends. The case for small functions is more discussed than the case for small files, and it has been made by almost every luminary in computer science. My colleague immediately conceded it, and I won’t repeat it here–but I will claim that many of the same arguments apply to files as well, because files as well as functions are an important named scope in software development. This in turn suggests some constraints on files with respect to cognitive complexity. How many functions should we put in a reasonable file? For me, 2 or 5 or 10 feels tractable. 50 feels excessive. When humans try to remember more than their brains can fit, stuff falls out. Big files mean that coders have to mentally model relationships between stuff that’s separated by way too much screen real estate. This is a recipe for bugs. It is also a serious impediment to learnability. Files are a natural unit of coupling. In most programming languages, you can declare a construct (a variable, an internal function, or class) within a file, and have that construct be invisible to the outside world. This means there is a built-in temptation for functions and classes to bind more tightly when they’re in the same file, because they have access to common but private knowledge. By breaking large files apart, you remove the temptation, break unnecessary dependencies, and promote looser coupling. A consequence of files hiding data is that when you have a function that might be useful in a dozen different modules, but the function is buried in a large file with lots of dependencies extraneous to that function, reuse and testability are both frustrated. If the function is in a file of its own, it’s more discoverable, and it’s reusable and testable without extra baggage. I suppose you could argue that by making lots of small files, you’re creating more complexity in directories, in makefiles or projects, and so forth. Is 250 files in a folder worse than 15? Doesn’t that violate the “cognitive complexity” guideline above? My comeback is: use packages or subdirectories or libraries (another level of management). You can’t subdivide forever, but you don’t need to. The bottom line for me is experiential, not theoretical. I nearly always have cruddy experiences in code bases where large files are common. Small files don’t guarantee pleasant and productive work, but big ones seem to go hand-in-hand with other problems. I find it telling that codebases with big files are also codebases where people lament the lack of comments the most, for example. Over the years, I’ve become convinced that a simple rule of thumb about keeping files small will pay off more handsomely than almost any other coding best practice. Leave a comment to tell me what you think. Am I making a mountain out of a molehill? Or do you feel strongly about small file sizes as well? Have I omitted any important pros and cons from the discussion? Recently I’ve been pondering an interesting book called Release It!, by Michael Nygard. It’s full of anecdotes from someone who has spent a major portion of his career troubleshooting high-profile crashes of some of the most complex production software systems in the world–airline reservations, financial institutions, leading online retailers, and so forth. A circuit breaker. 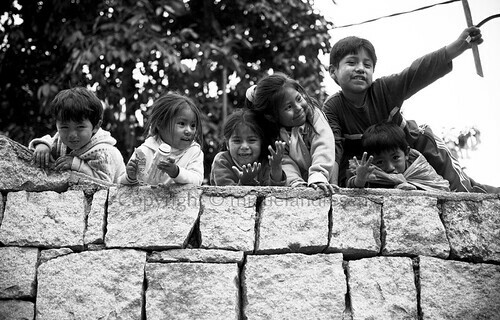 Photo credit: Wikimedia Commons. One design pattern that Nygard recommends was new to me, but it rang true as soon as I saw its description. Like many classic patterns, I’ve implemented variations on it without knowing the terminology. I like Nygard’s formulation, so I thought I’d summarize it here; as I’ve said before, good code plans for problems. 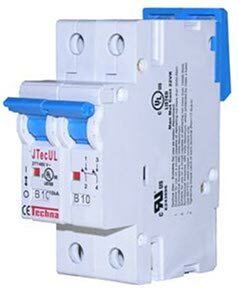 The pattern is called circuit breaker, and its purpose is to prevent runaway failures. In systems without circuit breakers, failures in an external call may cause an exception on the caller’s side; this can cause the caller to log, retry, and/or execute other specialized logic. Since errors are supposed to be the corner case, the blocks of code that handle them are often expensive to execute. The very slowness of the error-handling codepath can be the source of further failures, because locks are held longer than normal, or because we poll until a connection is restored, overwhelming a system that’s already limping. Here are two C++ style habits that I recommend. Neither is earth-shattering, but both have a benefit that I find useful. Both relate to the order in which constness shows up in your syntax. 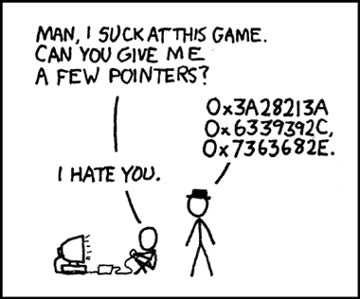 Ah, the joys of pointers… Image credit: xkcd. This rule is simple to follow, and it makes semantics about constness crystal clear. It lets you read data types backwards (from right to left) to get their semantics in plain English, which helps uncover careless errors. In either of the declarations of VERSION given above, the coder probably intends to create a constant, but that’s not what his code says. The semantics of the two are identical, as far as a compiler is concerned, but the first variant makes the mistake obvious. Reading right-to-left, the data type of VERSION is “pointer to const char” — so VERSION could be incremented or reassigned. Share a tip of your own, or tell me why you prefer different conventions.